This stunning West Des Moines home has a wealth of beautiful features. 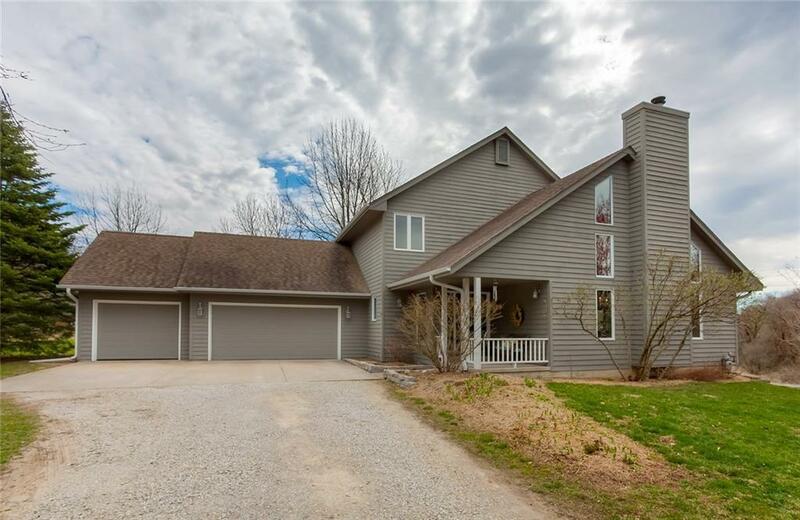 With 5 beds, 4 baths, and on nearly 3 acres, thereâs room for everyone both inside and out. Main floor includes spacious living room with stone fireplace which flows into the dining area and kitchen, all with plenty of gorgeous natural light. Kitchen features a plethora of counter space, storage, & built-in desk with beautiful finishes throughout. Also on the main floor is a beautiful master suite with attached private bath and separate space for an office or reading nook. Second floor boasts a beautifully open loft area, 3 beds, & family bath. Finished basement level includes a bonus family room, wet bar, bedroom, space for a game or play room, bath, & walkout to the large backyard. Outside is a spacious backyard, fenced garden area, stone patio, back deck with pergola, & gorgeous landscaping. To find this picturesque & quiet piece of country living, in West Des Moines is truly a treasure!